"Quietly crafting fine musical instruments since 1959"
“Quietly making some of the world's finest musical instruments since 1959” We are a small one Luthier shop that focuses on delivering unique products. Sloan Banjos is a manufacturer of high end classic and unique Banjos. 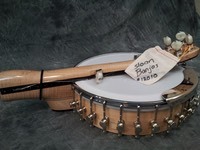 Sloan Banjos was purchased from Peter Sloan in 2012 by Philip and Lena Allison. As the business moves forward under new owners and with a renewed level of energy, Philip and Lena strive to maintain the same high quality standards developed by John and Peter Sloan. There is a renewed focus on increasing production to reduce the current lead times on products, while maintaining the same handmade, high quality, manufactured in American tradition that people have come to expect from a Sloan Banjo. Our workshop has been relocated from New Waverly TX to Houston TX. The move has helped increase productivity and allowed Philip to focus on the design and engineer of the Jo2Go. Introducing a continous improvement program is helping stream line the key areas of the business, including R&D, Manufacturing and Marketing. The only significant change is the name changing from JA Sloan & Son to Sloan Banjos. Originally started by John A Sloan in 1959 in Chicago the business was taken over by his son Peter after John retired in 2003. Peter with his skills in Banjo and jewelry making took the product to the next level. 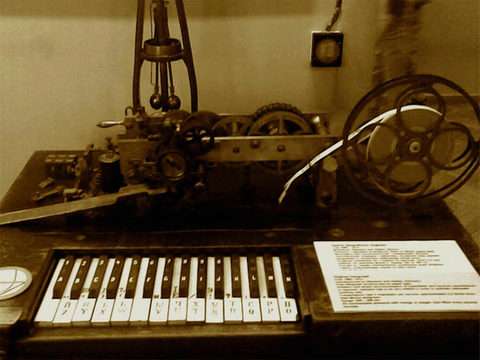 In 2008, Sloan Banjos first website was launched. Philip was inspired by the quality and passion that were crafted into each JA Sloan & Son Banjo by Peter and relished the opportunity to work with him in the transition of the business. In the last few years Peters focus has been on developing a new folding Banjo, resulting in the Jo2Go and the Banshee Tone Ring, among other uniquely designed pieces which we intend to market to the Banjo community.